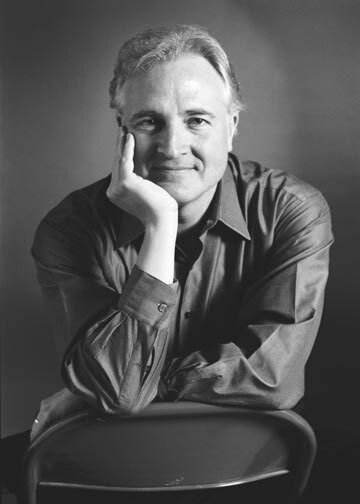 As of this writing Paul Moravec is 47 years old, and has been part of the contemporary music scene for some time, with more than 70 works to his credit. However, his name has only recently come into national prominence, as the recipient of the 2004 Pulitzer Prize in music. A graduate of Harvard and Columbia Universities, Moravec is also a recipient of the Prix de Rome, has taught on the faculties of Columbia and Dartmouth, and currently chairs the music department of Adelphi University. What is striking about Moravec’s music is that it reveals clear tonal centers and uses a harmonic language that is often quite consonant, yet his work is unmistakably identifiable as stemming from the turn of the 21st century, without the obvious influence of antecedent composers. The Tempest Fantasy, Moravec’s Pulitzer Prize-winning work, is notable for its energetic yet graceful exuberance and its subtle lyricism. These qualities are also apparent in the Scherzo for piano trio, which may be heard here.